2014 has arrived and many of us once again face the traditional dilemma of trying to come up with a New Year’s Resolution that can really be a true life changer, and one that we can truly keep after a few days. It’s simple: In 2014, let’s properly “clean up” our act in our homes by taking some simple steps to help reduce energy consumption and harm to the environment. From the moment we wake until we go to sleep every day, all of us use energy and common manufactured products that negatively impact the environment. The EPA suggests that one of the major sources of ground water contamination can be our household and business septic systems and the improper disposal of hazardous wastes found in household products like disinfectants and even the prescribed drugs we take. The first step would be to gather up all those common, commercial household cleansers, detergents, and disinfectants that contain unfriendly contaminants and pollutants and replace their use with environmentally friendly substances like vinegar, baking soda, and yes, some cheap 100 proof vodka too! These products work just as well, if not better, than their toxic counterparts, and both the environment and your wallet will thank you for making the switch. For instance, instead of unclogging a drain with a harsh, and often expensive, chemical substance, you can simply use a combination of environmentally friendly baking soda (half a cup), vinegar (one cup), and a kettleful of boiling water. Click here for instructions. Vinegar is great to use instead of chemical based sprays and liquids to clean windows and mirrors, as a glass spot remover either in a dishwasher or by hand, in removing stains from coffee makers and teapots, and in polishing copper (by dipping pots in boiling white vinegar). For cleaning porcelain sinks, tubs and tile, borax or baking soda can be used instead of chemical based kitchen and bathroom cleaners. To wipe faucets and shiny metals clean, you can use cheap, 100-proof vodka (no shot glass needed). Another important change to make is how you dispose of unused or old prescription drugs. Some of these drugs enter our lakes, streams and rivers unaltered if they are flushed into household septic tanks-and they remain intact even though they may pass through wastewater treatment. The NYSDEC provides a checklist of simple options to properly dispose of household pharmaceutical drugs. Do you wash your hands in hot water every day? Well (no pun intended), a recent study by Vanderbilt University found that washing your hands in colder water has the same hygienic benefits as hot and reduces energy costs and consumption. The study stated that if all Americans did so (Americans wash their hands eight billion times each year) it would save a whopping 6 million metric tons of carbon dioxide every year, equivalent to using over 650 million gallons of gasoline to power our vehicles! As American citizens we must also reflect on our energy use as a society. America has 5% of the world’s population but uses about 25% of of the energy consumed worldwide. Think about this the next time you are about to buy something. We should make every effort to reduce our consumption for the sake of the Catskills and our neighbors around the globe. When you need to replace your lightbulbs, use CFLs or LEDs. Replace a broken appliance with an energy efficient model (look for the “energy star” label). Stop using disposable bags and buy some reusable bags. Don’t turn on lights at all for as long as you can-open your curtains and enjoy natural light. With a minimum of effort, this New Year’s resolution will be a life changer – benefiting you, your home, your community and the environment. Happy and Healthy New Year from the staff of Catskill Mountainkeeper! 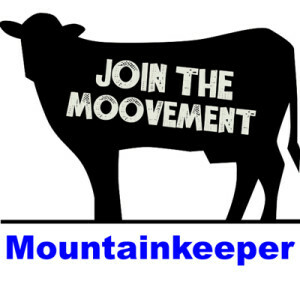 As 2013 draws to a close, please consider a tax deductible donation to Catskill Mountainkeeper. Every gift, large or small, enables us to continue our important work in the region and New York State. As a Mountainkeeper supporter, I thought you’d like to learn about our many accomplishments this year in our 2013 Report to Stakeholders. As you will see, we had a very busy year, and we have even more ambitious plans mapped out for the year ahead.We can’t accomplish this without you! We know you care as deeply about protecting the Catskill region as we do, and we need your help to support our work. If you already donated this year, thank you! And if not, please donate today.I wish you all the best for a healthy, joyous and frack-free New Year! Thank you to all of the local businesses who donated in support of this cause! Through the joint advocacy of Catskill Mountainkeeper and our many partners, we have made it through another year without New York being “fracked.” We are proud of our role in keeping fracking out of New York, yet much remains to be done, including a permanent ban on fracking. That is the message we need to carry in huge numbers to Governor Cuomo in Albany on January 8th, 2014 (see details below). Pressure from the powerful gas lobby makes a permanent ban of fracking in New York an extremely difficult goal, yet achieving it is surpassingly important. In addition to keeping fracking out of New York, we need to address the massive gas infrastructure that is planned and already being built to bring natural gas from other states to market. New pipelines and compressor stations mean that people across New York State will be exposed to the toxic air pollution that is a byproduct of moving the gas. There are currently over 50 proposed or approved gas infrastructure projects across the State, including several in New York City and its suburbs. New Yorkers should not be put in danger so that gas companies can reap higher profits in overseas markets. In a recent incident, a family living near the new Hancock Compressor Station, being constructed by the Millennium Pipeline Company, had to evacuate their home while the company vented natural gas into the atmosphere. Not only is building this extensive gas infrastructure wrong because it exposes New Yorkers to health and environmental dangers, but investing in a natural gas infrastructure that will take decades to pay back impedes our ability to develop the infrastructure to deliver clean, renewable energy. The scientific evidence of just how dangerous fracking is to our health keeps mounting. A report released last week by the University of Pittsburgh Graduate School of Public Health’s Center for Healthy Environments and Communities said that heavily fracked Allegheny County is in the top 2 percent in the United States for cancer risk from air pollution, and in hot spots within Allegheny County, the cancer risk is up to 20 times higher. The report determined with certainty that Allegheny County’s air toxics problem presents a serious threat to people, as well as the environment. A new University of Missouri study, “Estrogen and Androgen Receptor Activities of Hydraulic Fracturing Chemicals and Surface and Ground Water in a Drilling-Dense Region” confirmed evidence that Catskill Mountainkeeper has been communicating for years – that chemicals commonly used in fracking for oil and natural gas are endocrine disruptors which have been linked by other research to cancer, birth defects and infertility. For several years, Catskill Mountainkeeper has been pushing hard for New York State to conduct a comprehensive Health Impact Assessment, but so far the Department of Health (DOH) is only doing an internal health review. Almost 15 months after the review was started, Governor Cuomo reports he has no timeline for the report’s release. When asked about the report recently, Dr. Nirav R. Shah, the DOH commissioner said that he is still conducting his review, using only the same studies that are available to everyone; nonetheless, he promises to reflect fully the evolving science in his recommendations. We need to continue our calls for a more comprehensive and open process in order to insure that he fulfills his promise. Meanwhile, communities across New York State and the Northeast continue to take action at the local and regional level to protect themselves from fracking. Recently, the Erie County Legislature banned high volume hydraulic fracturing on county land and imports of any drilling waste to its water treatment facilities. Earlier this month, some of our youngest Mountainkeepers addressed the Delaware River Basin Commission (DRBC) to show appreciation for their ongoing moratorium on shale gas extraction and also helped to present an album with hundreds of pictures from around the Delaware Watershed. Two years ago, pressure from Mountainkeeper and coalition partners influenced the DRBC to adopt the moratorium and delay the adoption of regulations, and we are working to make sure that this moratorium stays in force through 2014 and beyond. Catskill Mountainkeeper continues to stand in solidarity with our neighbors in Pennsylvania who are living with fracking’s toxic legacy. Water wells for three families in Franklin Forks, PA tested positive for high levels of methane, salt and metals after fracking started nearby, but an initial investigation by the PA Department of Environmental Protection did not find a link between the contamination and fracking. WPX ENERGY INC., which had installed water tanks for the families, was going to pull them out, but faced with growing protests from community members, amplified by Catskill Mountainkeeper and our allies, the state is reopening the investigation and, for now, WPX Energy Inc. has halted plans to take back the water tanks. 2014 will be a critical year in our fight to keep fracking out of New York. We all need to ramp up our efforts to continue the de facto moratorium in New York and work for a complete ban. The first major action of 2014 is a rally and protest in Albany on January 8th at Governor Cuomo’s State of the State address. Please join us from 11:30 AM to 3:00 PM in the hallways of the Concourse in the Empire State Plaza (South Mall Arterial, Albany, NY 12242). The more people who show up the stronger our case. The threats to our aquifers, our air, our rivers and our health make shale development not worth the risk. The so-called shale boom threatens to maintain our addiction to fossil fuels and to derail a serious shift to renewables. We hope to see you in Albany on January 8th, calling for a frack-free future for all of us in 2014. Start your New Year exploring Walnut Mountain Park with a guided snowshoe hike through the beautiful 265 acre park, on Wednesday, January 1st from 11:30-1:00. You’ll receive a Walnut Mountain packet from the Liberty Parks and Recreation with a map of the trails and some great historical facts! — Did you know Walnut Mountain used to be a ski slope? In addition this event is a benefit to provide fund raising support to Sabrina Artel. 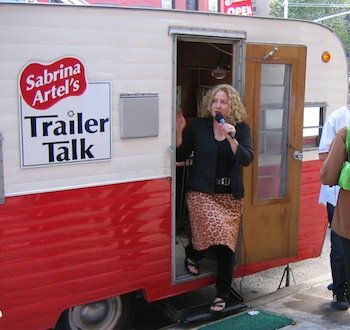 Sabrina Artel does a weekly WJFF radio show called Trailer Talk. She travels around the Catskill region and even around the country pulling a 1965 camper, bakes her famous brownies, and interviews locals on the issues affecting us here in the Catskills. During the open house Catskill Harvest will be donating to Sabrina 10% of all sales to help get her trailer repaired and back from California in time for spring. We hope that you and your friends can join us this evening in helping get Sabrina’s trailer back on the road and home. For additional information about contributions please visit Trailer Talk. Put the Cats in the Catskills! Can You Save the World by Putting the ‘Cats’ Back Into the Catskills? 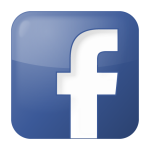 What happens when you “Like” this picture? THINK YOU CAN DO BETTER? 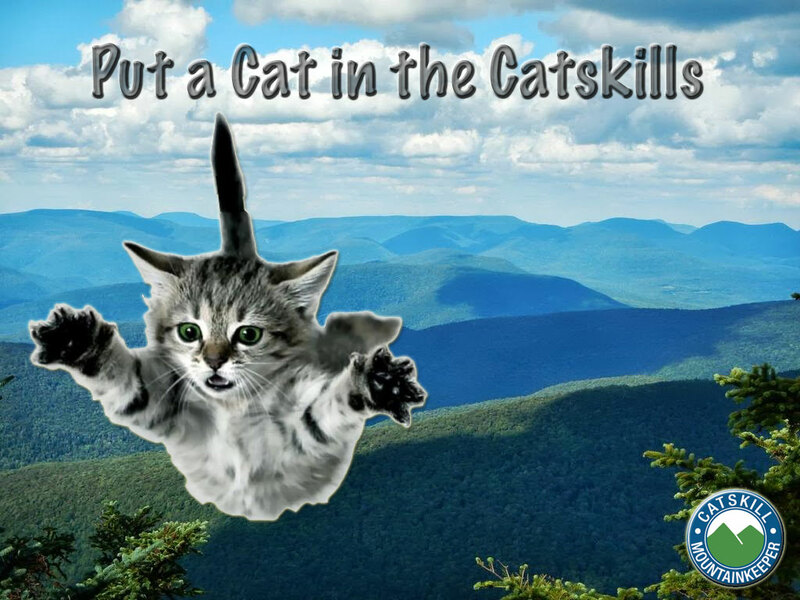 POST YOUR OWN CATS IN THE CATSKILLS PHOTOSHOPS! Go to Mountainkeeper’s Facebook page and post your own “Cat Chil’n in the Skills” shop or animated gif. Winner wins something!!!! Catskill Mountainkeeper’s Food Initiative has had a productive year and we’d like to share some of our successes with you. We increased food access through the development of new farmers markets, expanded the Catskill Edible Garden Project, and facilitated mentorships for emerging farmers through regional partnerships. We are committed to our proactive programmatic work to support sustainable economic growth for our region and to strengthen and nurture healthy communities and local business. 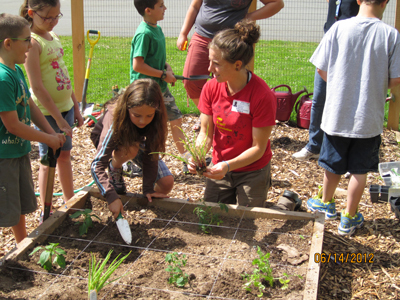 Through our Catskill Edible Garden Project (CEGP), we have partnered with local schools to create fruit and vegetable gardens; improving student access to healthy, local foods. By growing their own food, students built confidence and self-esteem while learning life lessons about good nutrition and career options in agricultural or food-related businesses. Just finishing its second season, the project has engaged hundreds of community members on garden build days at seven gardens across Sullivan County. Garden clubs have been set up, and teachers are integrating important lessons about food production, healthy eating and the importance of local food systems into the classroom. Some schools have even been serving student-grown garden produce in their cafeterias. The workforce development component of the project has employed 12 local youths in summer work, giving area students the chance to learn how to grow, harvest, process, and prepare garden produce, which they distributed to local families and food pantries. 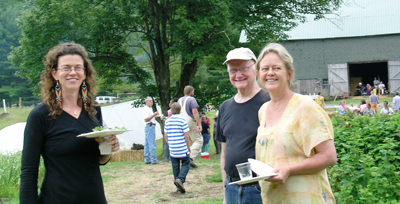 CEGP is a partnership between Catskill Mountainkeeper, Sullivan Renaissance, and other local organizations. You can learn more about the project and see additional photos here. In October, Mountainkeeper wrapped up its first full season managing a new Catskills farmers’ market, located in the Sullivan County capitol of Monticello. 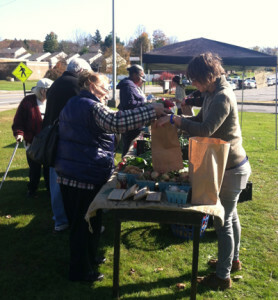 The market improved access to healthy food for low-income residents and others, by connecting them with farmers and artisan food makers from our region. While it’s the hub of an agricultural county, Monticello is a USDA designated ‘food desert’ – meaning a community without ready access to fresh, healthy, and affordable food – and its residents suffer some of the worst health statistics in the state. Working with area partners, Mountainkeeper opened the only market in the county to be approved by the Farmers’ Market Nutrition Program. Participating farmers were certified by the program, meaning they could accept vouchers provided to low income families and seniors under federal programs like the WIC Farmers’ Market Nutrition Program, which provides aid to women, infants and children. In addition to making fresh, healthy produce available, many of the markets offered recipe tastings and demos using local and seasonal produce, and provided information about health and nutrition. As a result of the market, we saw a significant increase in voucher redemptions for fresh fruits and vegetables. Next year, we plan to expand this popular program to build on this year’s success. To get involved, please click here. This summer, more than 300 patrons attended our second annual farm-to-table supper at beautiful Neversink Farm. We were thrilled to welcome back James Beard Award-winning chef, Patrick Connolly, who prepared another delicious feast with thoughtfully-sourced ingredients from some of the Catskills’ finest farms and food producers. By committing to purchase locally grown and processed foods, we allow farmers and producers to receive a higher profit margin, as they are able to eliminate many of the transportation and distribution costs associated with more geographically distant sales. Enabling local sales and food distribution allows farmers to develop relationships within their communities – whether that be with individual customers or local restaurant/business owners. For more information on this and other on-farm events, please click here. To learn more about other Catskill Food Initiative programs, partnerships and resources, and ways to get involved, click here. … need to be handled very pragmatically,” said trail advocate Kathy Nolan, regional director for Catskill Mountainkeeper, a railroad opponent. Wes Gillingham, executive director of Catskill Mountainkeeper, one of the groups that signed the letter, said protecting New York’s fresh water is .